At this page, you could submit your negative experiences with design competitions by responding a few questions and writing a short report. It is common that some competition organizers could exploit designers through their terms and agreements or through general conduct. In this section, you could report major or minor issues relating to your negative experiences with design competitions, and of course mention positive ones as well. However, please note that we do not accept anonymous comments or complaints to avoid double-entry and also to ensure that the comments are made by real participants. Your comments will be de-identified and anonymized in the final white paper available to public, however they will be made available to the organizers, unless you would indicate otherwise. Tips: Please note that each ticket/report should convey a single/particular problem regarding a single design competition or contest. If you wish to report multiple issues or competitions, please re-fill and re-submit the form for each of the distinct issues. If you wish to submit your general experience with multiple design competitions, leave the URL field as is. Please delete any existing text in the boxes and fill with your own responses. Please note that we do not accept anonymous reports. Type your email address, so that we could register your report. Please choose from the menu that describes your inquiry. Any Other Inquiry Complaint Feedbacks Sharing Neutral Experience Suggestions Testimonial — Are you filling a complaint? Or providing a positive feedback? Please choose the best option from the select menu. Any Other Entities Associations Companies Institutions Media Organizers Participants Patrons Sponsors — Are you reporting other participants? Or the organizers? Please choose from the list of available options so that we could classify the reports. Any Other Issues Award Ceremony Awards and Prizes Briefs Certificates Cheating Communication Issues Contacts Copyright Issues Deadline Extensions Design Associations Designers' Rights Difficulties in Participation Disrespect Eligibility Embezzlement Ethical Issues Evaluation Exhibition Extra Fees Fairness Fees and Costs Fraud Further Fees General Inquiries Intellectual Property Theft Jury Issues Legal Organizers Participants Patronage Phishing Press Releases Privacy Problems Public Relations Publications Publicty Publishing Results Security Spam Speculative Actions Sponsors Sponsorship Terms and Agreements Timeline Problems Transparency Trophies Unauthorized Usage of Works Winners' Obligations Yearbook — What is the major issue relates to? The most important thing. Indicate if you would like the organizers to contact you back or whether your name and surname displayed to them. — If you do not want to be contacted, please type "I do not want to be contacted because.." stating the reason as well. Please explain what actions shall be taken against the reported party, or your expectations from them. — Do you seek refunds? Do you seek an apology? Let us know. The name of the competition that you are reporting about. Please explain your experience, focusing on one issue at a time. It is important that you re-fill this form multiple times for reporting distinct issues so that we could cluster and categorize the reports and prepare correct statistics for decision makers. Please try to fit your explanation within the input box, to make it easier for us to read and proceed with it. If we were to contact you in the future, would you be able to prove the points above? Please provide the complete URL of the competition. — Leave as is if your report is not related to a particular competition. Did you pay any money? Was this competition free to join or pay-to-join? How much did you pay them in total? This was a free-to-join competition. However, afterwards I was requested to pay money for claiming my award. How did you learn about the existence of this competition at the first place? — Did you find them on google? Or did you see them on a magazine or find their ads? Please indicate in detail. Did you try contacting the reported party? Did they already offer a resolution? Have you already signed an agreement such as registration or NDA forms? 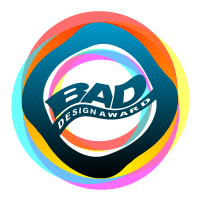 Bad Design Awards - Simple Agreement between I (the participant, filling the report), You (the Bad Design Award). 1. The information I submitted is correct and accurate, reflects the truth without any fiction. 2. You can use the information I submit, without limitations, for publishing in any medium. 3. I permit you to modify my report for making it more brief, I permit you to remove or conceal parts of my report, I permit you to de-identify my report. 4. I permit you to save my information in your database. 5. If the information I submit turns out to be incorrect, I will take the whole financial and legal responsibility, I will unreservedly and promptly indemnify and keep indemnified in full "Bad Design Award" from and against any and all loss, damages, fees (including legal fees and costs incurred), liabilities whether criminal or civil suffered by Bad Design Awards" as a result of any or all of the information I provide. 6. I am submitting the report out of my free will, without seeking any commercial benefit from it, and I understand and agree that I will not make any profit from my report now or future. 7. We will try to do our best to include or mention your report on our white-paper, however no guarantees are given. Please re-view your information above and click Submit Report.